Surge protection? Boring and technical and way too may terms like amps, right? Plano Texas Handyman can assist with your whole house surge protection. Call us at 214-507-3415 or visit our website for more information. Whole house surge protection. Think of surge protection as a bouncer at a nightclub. He may only let certain people in and quickly tosses the troublemakers. Getting more interesting? 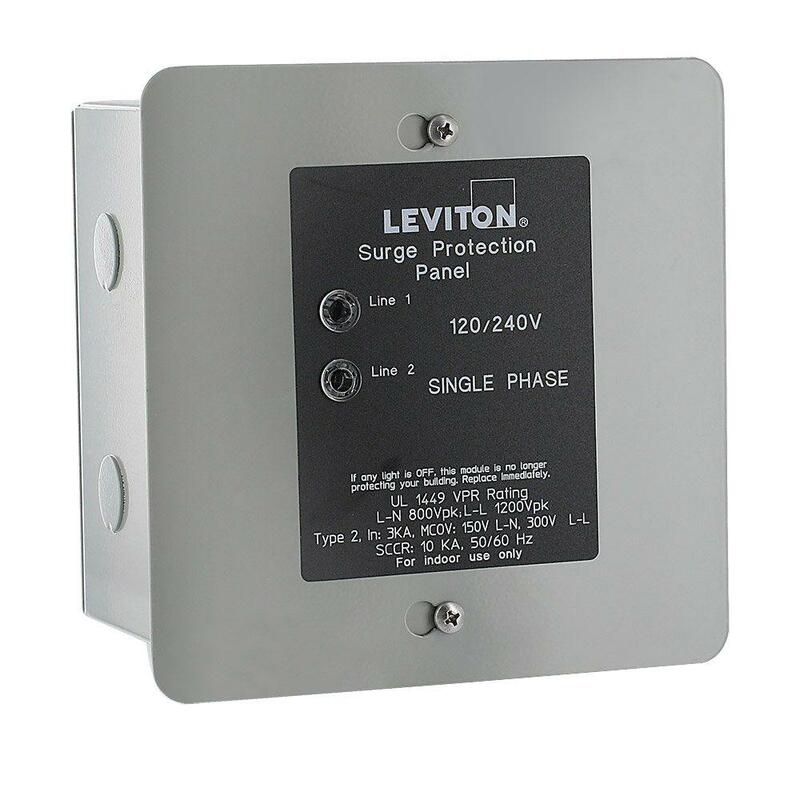 Whole house surge protection consists of 1 surge protector installed at the electrical panel and commercial grade surge suppressors installed at critical equipment. Well, a good whole-house surge protection device does essentially the same thing. It allows in only the electricity your home needs and not the unruly over-voltages from the utility—then it protects your devices from any trouble that can occur from surges inside the house. Whole-house surge protective devices (SPDs) are typically wired to the electric service box and located nearby to protect all the appliances and electrical systems in a home. They are typically a $200 to $500 add-on. 80 percent of surges in a home we generate ourselves. Like many of the surge suppression strips we’re used to, whole-house surge protectors use metal oxide varistors (MOVs), to shunt power surges. MOVs get a bad rap because in surge strips one surge can effectively end the usefulness of an MOV. Whole house surge protection. But unlike those used in most surge strips, the ones in whole-house systems are built to shunt large surges and can last for years. More home-builders today are offering whole-house surge protection as standard adders to help differentiate themselves and help protect homeowners’ investments in electronic systems—especially when some of those sensitive systems can be sold by the home-builder. Whole house surge protection. 1. Homes are in more need of whole house surge protection today than ever. 2. Lightning isn’t the biggest danger to electronics and other systems in the home. “Most people think of surges as lightning, but 80 percent of surges are transient [short, intense bursts], and we generate them ourselves,” “They’re internal to the home.” Generators and motors like those in air conditioning units and appliances introduce small surges into a home’s electrical lines. “It’s rare that one large surge will take out appliances and everything at one time,” but those mini-surges over the years will add up, degrade the performance of electronics and cut short their useful lifespans. Whole house surge protection. Overvoltages on the utility lines can also harm systems in the home, which is a prime reason for whole-house surge protection at the electrical service panel. There is virtually no surge protection for a direct lighting strike. If you’re concerned about that, look into lighting rods. 3. Whole house surge protection protects other electronics. You may ask, “If most of the harmful surges in a house come from machines like AC units and appliances, why bother with whole-house surge protection at the breaker panel?” The answer is that an appliance or system on a dedicated circuit, like an air conditioning unit, will send the surge back through the breaker panel, where it can be shunted to protect everything else in the home. Whole house surge protection. 4. Whole house surge protection should be layered. If an appliance or device sends a surge through a circuit that’s shared among other devices and not dedicated, then those other outlets could be susceptible to a surge, which is why you don’t want it just at the electrical panel. Surge protection should be layered in the house to be at both at the electrical service to protect the whole home and at the point of use to protect sensitive electronics. Power conditioners with surge suppression capability, along with the ability to provide filtered power to audio/video equipment, are recommended for many home theater and home entertainment systems. Back-up power generators can be a big culprit. If they’re connected to the electrical service to provide power to many circuits in the home and turn on automatically when power goes out, they can send power surges through the electrical lines that a whole-house surge protection system can shunt. Whole house surge protection. Plano Texas Handyman can assist with your whole house surge protection. Call us at 214-507-3415 or visit our website for more information. Whole house surge protection.